Beautiful card! 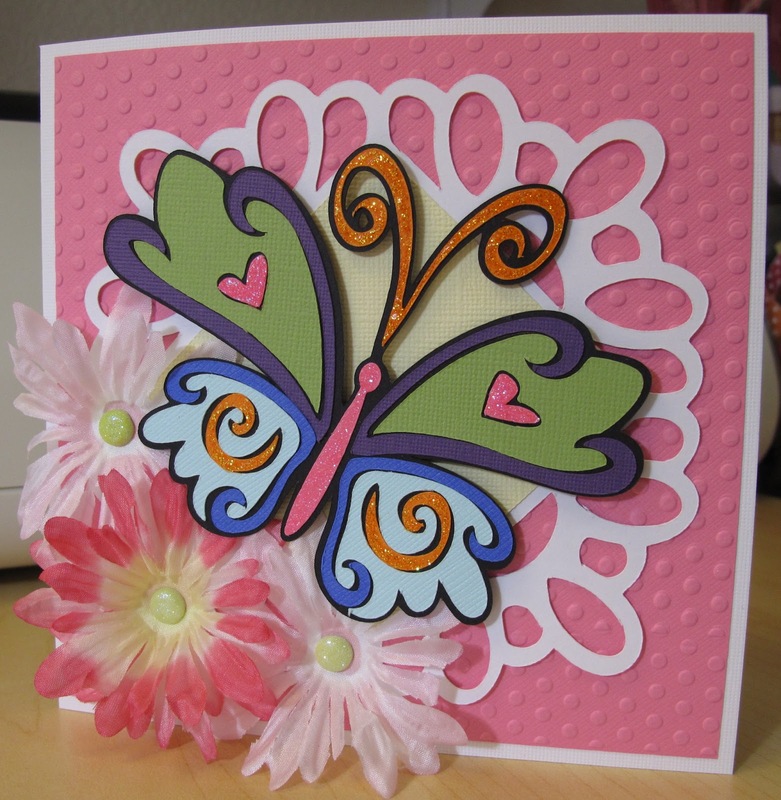 The embossed background looks fabulous and love the gorgeous butterfly! 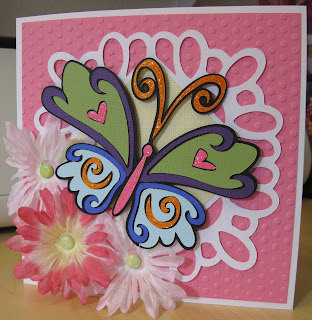 So pretty and thanks so much for joining us in the cute critter challenge at My Craft Spot! Beautiful butterfly and I love where you put the flowers. Thank you for joining us at Divas by Design. Oh my goodness, this is awesome! so very pretty! Thanks for joining us at My Craft Spot. Your butterfly is beautiful, love the glitter and all the colors that were added. Thanks for joining us this week at My Craft Spot.